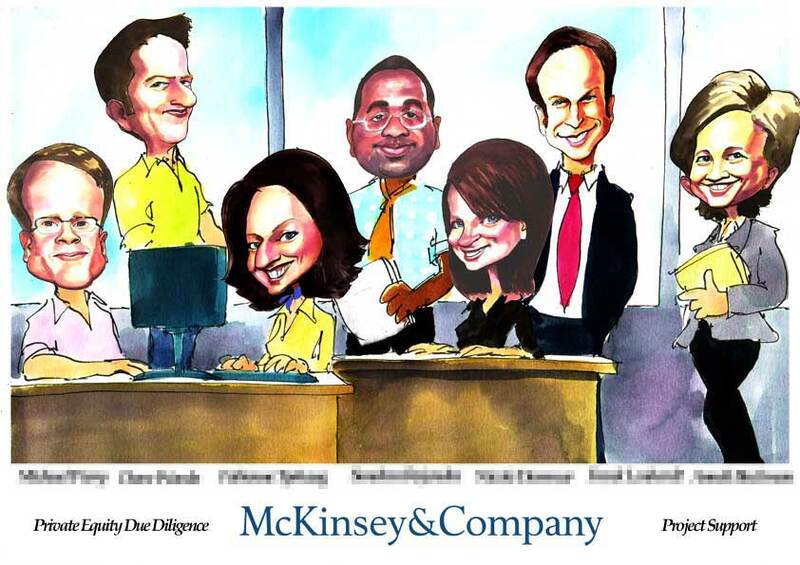 Group caricature as a thank you to the due diligence support team at McKinsey. This painting was commissioned as a gift for all those involved in the support team and depicts those characters. A unique framed print was presented to to each participant at the closing dinner. Caricatures are a welcome alternative to the Lucite tombstone trophies so often awarded after such transactions.